Cool invitations make a birthday party extra fun. The cost adds up quickly when you're planning a birthday party for your child. Invitations can take up a big chunk of change since they're often sold in small numbers. 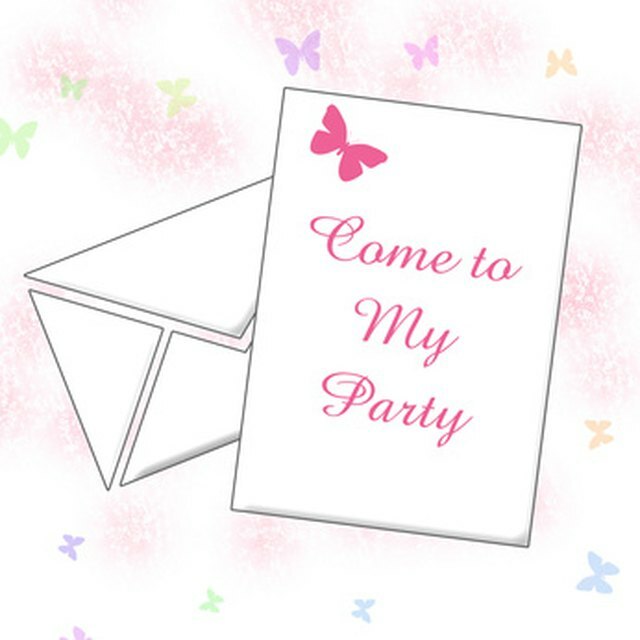 Creating your own invites online lets your child customize her birthday party invitations to her exact specifications. Some sites even offer free invitations that you simply print off on your own home computer. Others allow you to order and pick up the same day at a local photo-developing store. On some sites, you can email the invitation for no fee. Any way you go, you'll save some cash and have invitations to remember. Access an online invitation-making website. Vistaprint.com, Evite.com and tinyprints.com are popular sites. Evite.com offers free invitations that you email rather than send through the postal service. The others charge a fee for the invites that varies depending on the style and size. Browse the invitations. Your child can choose from a variety of backgrounds, small images and font types. Look at all the options before choosing so your child knows what's available and gets exactly what he wants. For example, he might choose a football field background for a sports party or a guitar theme for a rock star party. Click on the text boxes to change the birthday party information. Type in an announcement, such as "13th birthday party," or "Come celebrate with the birthday girl." Include the name and address of the party venue, the time and an RSVP number. Preview the invitation. Most sites allow you to click a preview button so you can see the invite before it's printed and sent. Check the information to be sure it's all correct. Double check the time, the address and the phone number. If any of this information is wrong, the birthday party won't go off as planned and your child will be upset. Print the invitations. If you're printing at home, load paper into your printer and choose the number of invites you want. Once printed, cut them apart before mailing. Card stock or photo paper works well because it's sturdier than traditional printer paper. If you're having the invites printed elsewhere, order the number you need, input your credit card information, if needed, and note the time when the invitations will be ready for pick-up. Mail the invitations. If you printed them, address and stamp envelopes and send them off from your mailbox. If you chose email invitations, input the email addresses of each guest you're inviting and send them. Some sites allow you to manage RSVP lists as guests receive the invitation. Do it Yourself Invitations: Make Your Own Invitations With A Fun And Personal Touch!